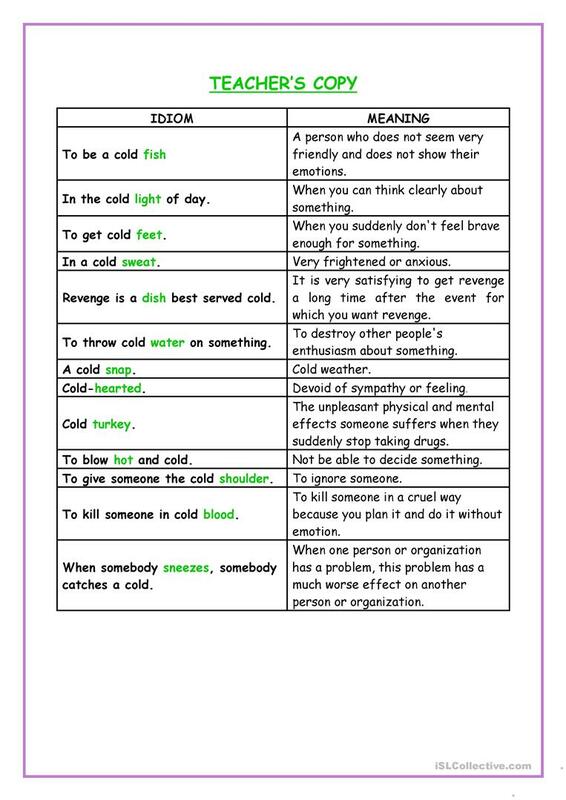 This time I chose the word "cold". 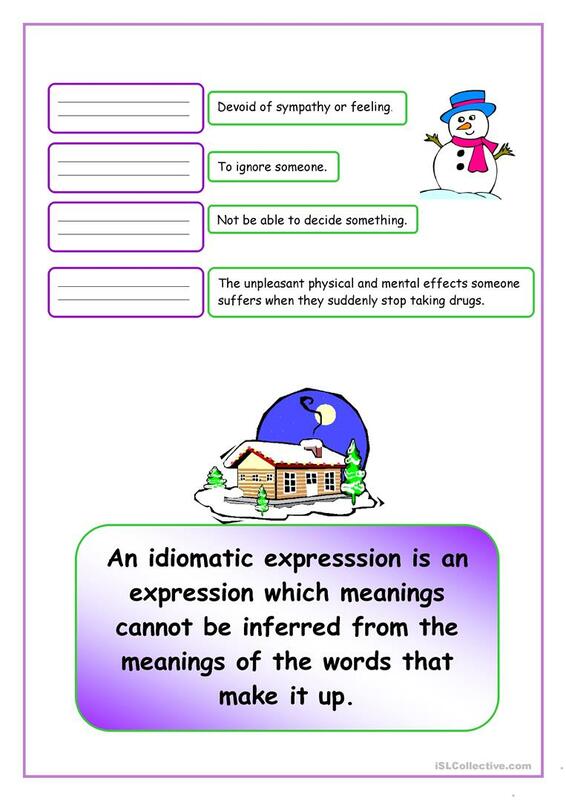 There are illustrations, an exercise to categorise each idiom and an activity to match them to their meanings. ( Teacher´s key included). Hope you like it! This downloadable worksheet was created for high school students and adults at Pre-intermediate (A2) and Intermediate (B1) level. It was designed for improving your learners' Writing skills. 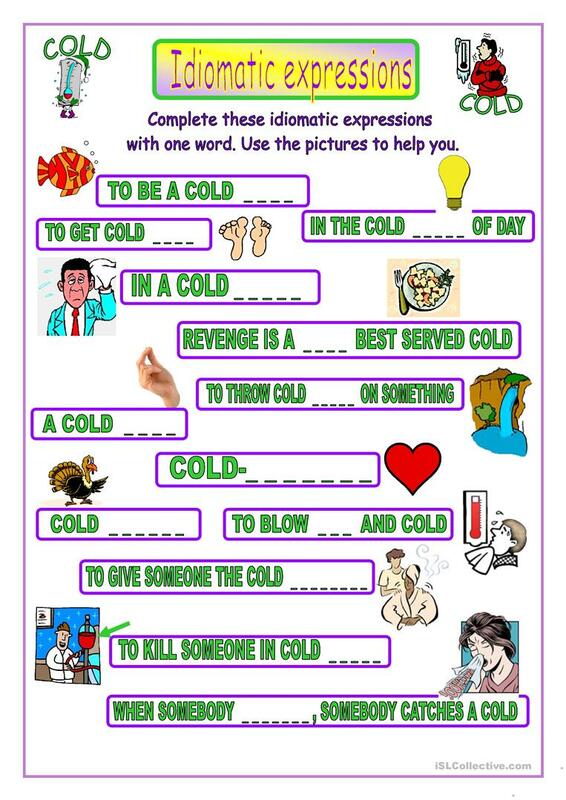 It features the vocabulary topic of Idioms. You will find the solution at the end of the worksheet.